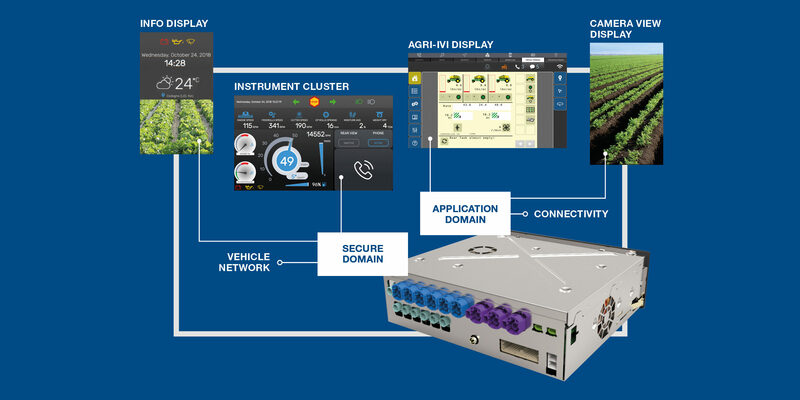 Agricultural machines are increasingly equipped with electronic devices such as displays and dashboards capable of visualizing the main operation parameters, as well as operating appliances connected to them. 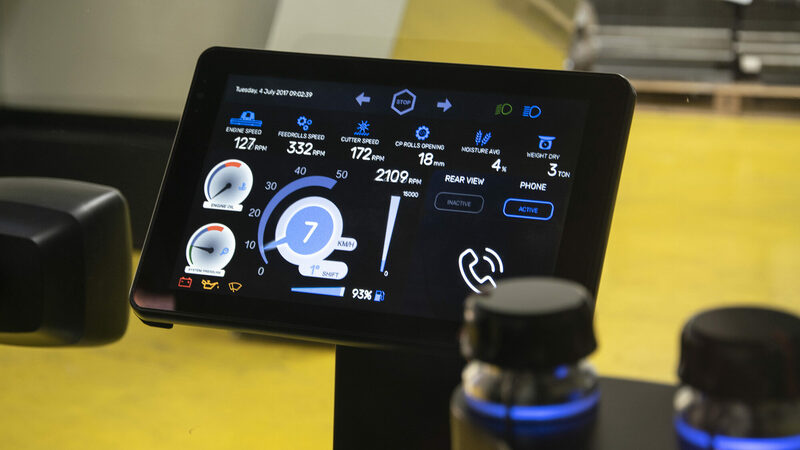 OEMs have been asking their Tier1 suppliers to provide systems capable of controlling such electronic devices, which have so far been working separately, or the ability to connect to operations centres in order to monitor vehicle features or appliances. This would dramatically reduce operating costs and down time during a dealer’s service. The demand for integrated vehicle platforms capable of managing simultaneous telematics services and complex as well as consistent graphics on different displays has grown. Such platforms require powerful operating systems, while offering users total data security and safety. Thanks to the know-how acquired in recent years regarding the development of intelligent dashboards and displays for different OEMs, featuring graphics with fast dynamics and very high-performance processors, MTA is able to offer a complete “In-Vehicle” system with state-of-the-art specifications featuring an “intelligent” central unit. In order to provide this, MTA has recently signed an agreement with Elektrobit, a global supplier of embedded and connected software products and services for the automotive industry. The partnership between EB and MTA has so far led to the creation of a hardware platform featuring an Android operating system, which largely allows for the integration of custom applications, thus increasing the system’s full potential. The central unit of the MTA system has been developed based on a flexible and powerful architecture, making use of the latest generation multicore microprocessor produced by Texas Instruments, which is renowned for its high computing power. It can handle up to 4 Full HD displays inside the vehicle, as well as collect and convey the information coming from the vehicle, the images from cameras through BroadR-reach technology, and from wireless connectivity. Furthermore, the unit is ready to be quickly adapted for additional functions based on specific customer requirements. In addition to allowing the integration of information, the presence of this “electronic heart” developed by MTA causes different displays to become external devices of the system, thereby enabling OEMs to adapt the terminals and to add new features and functions in line with the rapidly evolving market, without making any changes to the core section of the system. In developing its HMI system, MTA not only focuses on the electronic central unit content, but also pays much attention to its ease of use, cooperating with specialised companies for this purpose. Discover Agri SIC general device characteristics and functionalities. 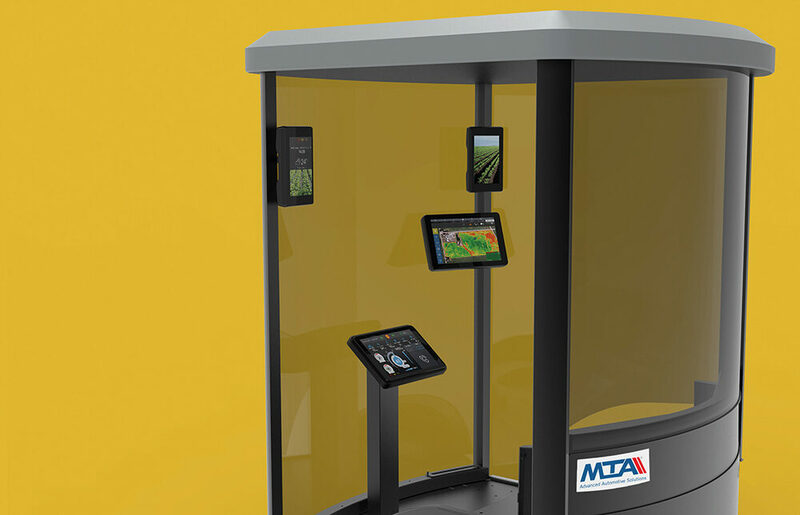 Press Release – Agri SIC, a single computer for a multi display system.